So Many Colors is a home based, hand dyeing business in Detroit, Michigan. We offer women's tops, dresses, scarves and other items all hand dyed using the very finest, low impact, fiber reactive dyes. 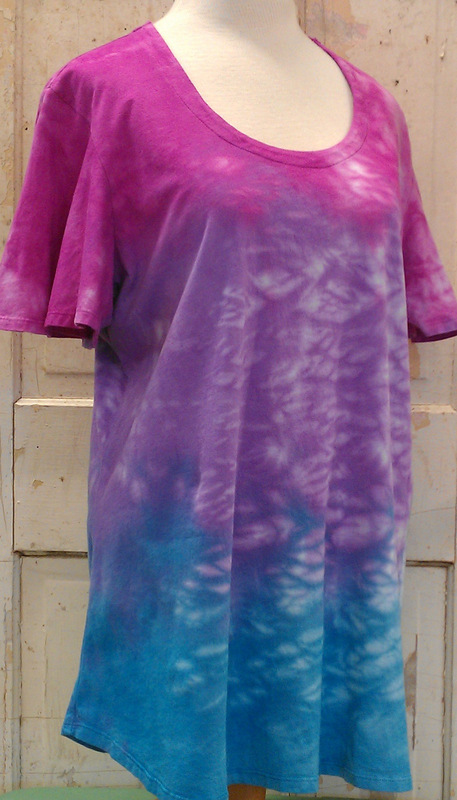 Some items are dyed from clothing blanks, others are sewn from our own hand dyed fabric. All of our colors are permanent and all items can be machine washed and dried. We also love to share what we have learned about dyeing with Procion MX type dyes on our web site and on YouTube. Want to know more about hand dyeing? See the Low Water Immersion and Snow Dyeing pages. Find basic information about our techniques, view videos that we've made and use our favorite links to learn more. We've been on Etsy since 2009. The Etsy Shop page will take you there. Selected items are also available at Circare in St. Clair Shores.